Plasterers and Cement Masonry workers use plaster, bricks, concrete blocks, concrete and natural and human-made stones to build walls, walkways, fences and other masonry structures. The work of operative plasterers and cement masons is physically demanding because masons lift heavy materials and often must stand, kneel and bend for long periods. 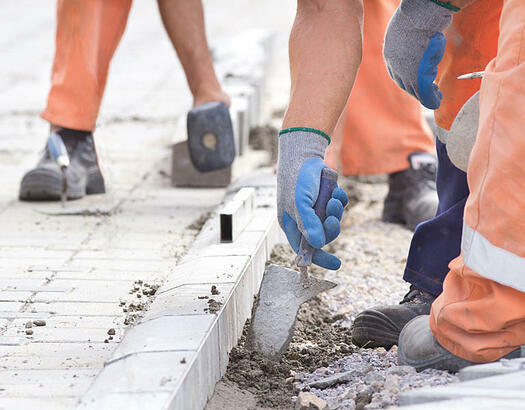 Poor weather conditions may reduce work activity because masons usually work outdoors. Most masons work full time. Plasterers and masons learn their trade through a registered apprenticeship program that is usually cost free to the student. A high-school diploma or equivalent is typically required to begin your apprenticeship and career in the trade. After the apprenticeship and based on certifications, a journeyperson plasterer and mason (a qualified and skilled person in a trade), can earn as much as $40.00 an hour. Employment of operative plasterers and cement masons workers is projected to grow 15% from 2014 to 2024, much faster than the average for all occupations. Population growth will result in the construction of more schools, hospitals, homes and other buildings. Learn more about a career as a PLASTERER AND CEMENT MASON!